Using butcher block countertops in the kitchen is a bit of a forgotten art. It’s unfortunate because they are a stunning option that can handle a surprising amount of abuse, and with proper care they will look gorgeous for decades. The two lists below double as a table of contents. If the link is blue, click it and you’ll be taken to the portion of this page with more information. Hit the back button and you’ll return right here. Are Wood Countertops High Maintainance? The answer is yes and no. 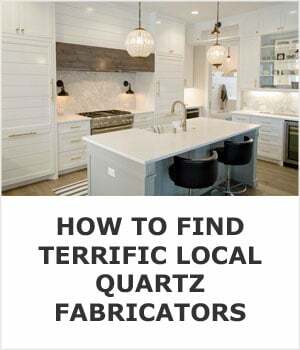 Overall they aren’t a lot of work to maintain, but if you’re comparing them to quartz, which is maintainance free, then yes they are a lot of work. Here’s what to do to keep them looking their best. The best way to care for wood counters is to keep them dry. Water is your enemy, and if you haven’t been sealing them regularly then water will damage them. Wipe up any spills before the wood gets a chance to absorb them. 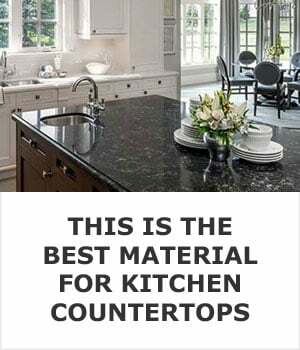 Want prisinte butcher block countertops? Seal them and keep them dry. Cleaning butcher block countertops is no different from any other kitchen work surface. Mop up spills immediately with a damp rag or paper towel and never let accidents linger longer than necessary. Adding a drop of liquid soap to your wet rag rag will help loosen any sticky or greasy spills, making them easier to wipe up. When you’re done using your countertop wipe it down with a clean wet rag and you’re all set. Don’t use harsh cleansers like Windex, Forumla 409, or any other chemicals. Over time they’ll dry out the wood and make it easier for permanent stains to settle in. Mineral oil is cheap, protects the wood, and can make minor damage dissappear. If you use mineral oil you should apply a thin layer once a month for the first year after installation, after that you can apply it once every six months or more often if the surface starts to look dull and dry. The biggest mistake you can make when finishing wood counters is to coat them with cooking or vegetable oil. These organic oils will evetually spoil, so stick to mineral oil or one of these alternatives: an oil/wax combo made specifically for butcher block, a penetrating sealer, tung oil based products like Waterlox, or polyurethane. First, let me assure you that wood countertops are not only easy to sanitize they naturally kill bacteria too. Germs like salmonella and the norovirus aren’t going to take root in your kitchen work surface and make you sick unless you neglect them. 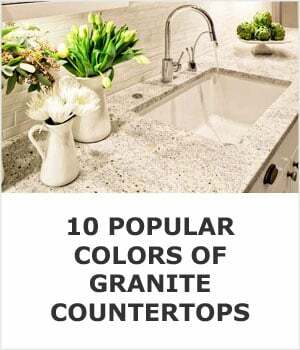 This is one of the biggest conerns, but by keeping them clean and occassionally disinfecting them you’ll have perfectly hygienic countertops. To disinfect wood countertops use diluted white vinegar. Put white vinegar in a spray bottle and dilute it 3:1 with water. Spray it on your countertop and wipe it up with a dry cloth. This mixture is safe to use daily if you like. For a more intense disinfecting you can use a mixture of salt and lemon. Liberally sprinkle coarse salt on the surface of the counter and use a cut lemon to scour it. With light pressure simply rub the lemon all over the surface and then use a damp cloth to wipe away the salt and lemon residue. 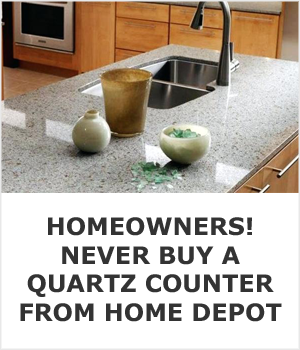 Doing this once a month will help kill bacteria and brighten the surface of the countertop too. Yes, you must seal butcher block countertops regularly to keep them from absorbing water. You have four options, and which one you choose depends on how you plan to use the counter. Always follow the manufacturers instructions for the sealer that you choose instead of following general advice on the internet. If you choose a generic sealer like mineral or tung oil, follow the advice of the countertop installer because they will be more familiar with how your particular wood species responds to the climate in your area. Mineral oil lightly penetrates the surface of wood countertops, conditions it, and helps lock in moisture. It’s 100% food safe, very inexpensive, and it’s the only sealer you want to use if you plan on cutting on your countertop. It’s preferable to plant and seed based oils because it will never turn rancid. Editors Note: If you have a face grain wood countertop you should not treat it with mineral oil. It will raise the grain in such a way that the surface will feel velvety. Butcher block wax or conditioner is a mixture of mineral oil and wax; usually beeswax, carnauba, or a combination of both. It’s just as safe on cutting surfaces as plain mineral oil. The big benefit is that the wax helps seal the oil into the wood so you don’t have to apply it as often. If you want the best food safe protection for your countertop buy a penetrating sealer. While it does offer a higher degree of protection than oil or an oil/wax combo, it’s much more expensive and can take a week to fully cure. I recommend Rubio Monocoat 2C because it’s VOC free and safe for food contact, however I would use a cutting board that’s been treated only with mineral oil instead of cutting directly on the surface of any wood that’s been treated with a penetrating sealer. Polyurethane is perfect for bartops and tables but it’s not recommended for kitchen work surfaces. It looks great and does not need to be reguarly reapplied but it has the look and feel of furniture and not natural wood. It does a wonderful job of resisting stains and moisture, is safe for food contact, but you can’t cut on it. It’s also not easy to repair like natural wood is. The best woods for butcher block counters are common hardwoods. Different species of wood have very different grain patterns, colors, and Janka scores (a scientific measurement of hardness) so let’s have a quick look at the three most popular species and go over their benefits. Maple is aruably the best wood for butcher block countertops, especially when you consider that it’s one of the cheapest. It’s a light colored hardwood with a clear and uniform grain. Editors Note: The higher the Janka score the harder the wood is. If you want a rich red hue for your countertops have a look at red oak. While not quite as hard as maple, it’s more than strong enough for your kitchen work surface. White oak, while missing the unmistakeable color of red oak, is nearly as hard as maple but has a much more interesting grain pattern. If the deep rich hue of walnut is the look you’re after be aware that it’s in the middle of the road when it comes to durability. Maple and white oak are both much more durable but not as visually striking. There are three types of grain direction for you to choose from. They all look and perform very differently so I’ll quickly guide you through each in a bit more detail in just a second. The picture to the right (or below if you’re on your phone) labels the different faces of the board to help you visualize grain direction. The most important thing to know is that any species of wood can be cut and assembled in any of three patterns below, the only difference is which side of the board faces up at you. An edge grain is what most of us picture in our minds when we think of butcher block countertops. The edges of the strip of wood are rotated up and laminated together creating a very durable work surface that’s great for cutting and is safe for food preparation. The only downside to edge grain construction is that it’s more labor intensive and expensive than face grain. You’ll find face grain wood counters mostly in high end homes. They’re often used as a show piece and treated like furniture instead of a work surface because they are easily marred by knives and cleavers, but otherwise they are very durable. This style of wood countertop construction is cheaper than edge or end grain because it’s less labor intensive and creates less waste, but they are typically made from more expensive and rare hardwoods like black walnut and zebrawood to show off their intricate grain patterns and colors. If you want a truly unique wood countertop consider end grain construction. A truly traditional butcher block uses end grain construction and is more than a foot thick. 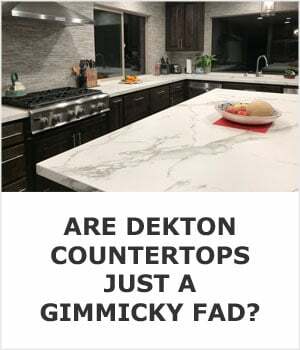 Because they were so thick coupled with the fact that end grain is the most durable type of wood countertop construction, they would literally last generations. The reason that end grain construction isn’t popular now is that it’s expensive. They are extremely labor intensive to make and to make them a lot of small scrap pieces get thrown away in the process. That’s a hard question to answer directly because it’s like asking if cars are expensive. A Mercedes is expensive compared to a Hyundai, but that doesn’t make a Hyundai cheap either. What you pay for butcher block is direclty correlated to what sort of wood want, the type of construction you pick, and who makes it. 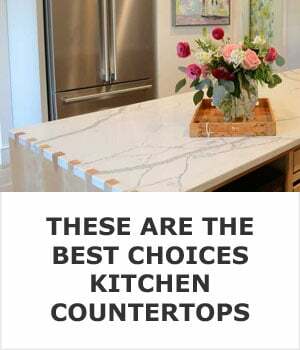 Quality custom butcher block countertops cost at least $70 per square foot. 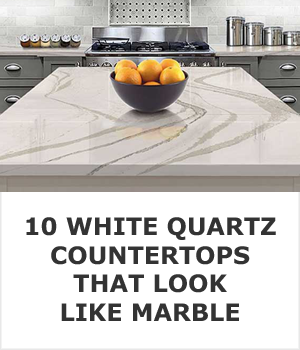 They are more expensive than corian or granite countertops but much less than high end stones. Prices range from as low as $10 per square foot up to $200. At $10 per square foot you get wood veneer over particleboard, the typical cheap butcher block sold at IKEA. For $200 per square foot you’ll be buying an exotic hardwood that’s fabricated into a countertop by a local craftsman. 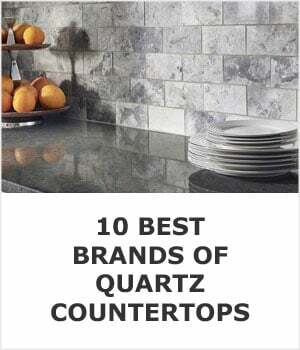 Finding a wood countertop fabricator is a little harder than finding a granite fabricator, but they are out there. The best place to start looking is at your local lumber yard. They’ll be able to direct you to fabricators in the area if you want a custom countertop. If there is an IKEA or a Lumber Liquidator store in your area I would also head to both of those to see what they have in stock and what they can order for you. My preference would defintely be Lumber Liquidators over IKEA if you have them both in your area. The quality of their products is much better. If you want an inexpensive standard size wood countertop IKEA is a decent place to start. Their showrooms make it easy for you to see exactly what you’re getting for your money. If you’re handy with power tools and have some basic woodworking knowledge, installing wood countertops from IKEA is probably a DIY project that you can do in a weekend. Just keep in mind that these are entry levels counters and while IKEA may be the lowest cost they have the quality that matches the price. Can You Cut On Butcher Block? Yes, you can defintely cut food on butcher block. To minimize scratches keep your knives sharp. A sharp knife will easily slice through food without you having to apply a lot of pressure. With a dull knife you’ll be pressing down on the handle of the knife and this downward pressure is what causes most scratches in wood countertops. Unless the slightly weathered look is what you’re after, I would recommend that you use a separate wood or plastic cutting board. Over time you will get more and more visible scratches on the surface, and unless you appreciate the imperfect look they will need to be sanded down and refinished eventually. To keep them looking pristine for as long as possible protect them with a cutting board. Can You Chop Food On Butcher Block? Yes, they are designed to have food chopped on them, especially end grain. But chopping food on your counter will wear them down faster and you’ll find yourself sanding and refinishing them more often. If that’s an acceptable compromise to you than feel free to chop food directly on the surface or even use a cleaver. Can You Put A Hot Pan On Wood Countertops? Natural wood can take a surprising amount of heat. Cookie sheets and hot pans are likely never going to burn your countertops. Where you will likely run into problems is with direct heat over long periods. For example hot pots full of oil or water will retain their heat for some time. Letting them sit on the surface of the counter is a much riskier practice than a hot pan full of lasagna. I recommend investing in a couple trivets and any time that you are the least bit concerned about potential heat damage, use one. Take comfort in the fact that most burns don’t penetrate the sirface deeply and can easily be sanded out. If an accident happens take the experience as a lesson learned after you have repaired the wood. Alex from NorthStory.com is a home improvement blogger that has had wood countertops in her kitchen for years. Here’s what she had to say about heat and kitchen work surfaces. Can Wood Counters Be Repaired? 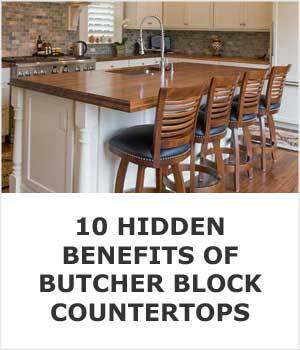 Yes, you can refinish and or repair solid wood butcher block countertops multiple times. The exception would be if you buy a wood veneer butcher block. Typical wood veneers are only 1⁄8” of an inch thick and can only be sanded and refinished a handful of times at most. If you want to refinish the entire surface use a random orbital sander coupled with fine sandpaper, remove any dust with a whisk broom, wipe it down with a tack cloth to remove the small pieces you can’t see, and finish it off with a fresh coat of mineral oil or your favorite wax. If you’re just looking to clean up a couple small spots, like in the image below, you can do the sanding by hand before cleaning up and applying the sealer. You can have just about any sink you want with butcher block; undermount, farmhouse, drop in, stainless steel, ceramic, and copper all work just fine. The trick is to properly seal the wood to keep water from being absorbed by it. When your done washing the dishes or cooking you should wipe down the edges any any areas that water splashed on. But as long as you keep up with regular maintainance and don’t let water sit on the surface for an extended period, the sealer protect the wood from damage. 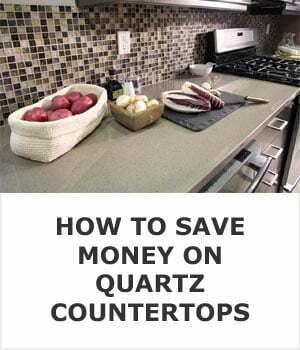 Want to learn about other kitchen countertop options that are easy on the wallet? Competition has caused granite to become surpringly cheap and you can’t get a better “bang for your buck” than with laminate counters.